This is a very nice 26" long blade, 8 point crosscut hand-saw marked, "HENRY DISSTON & SONS D-8 (hanging scale logo) *PHILADELPHIA* U.S.A. REG. 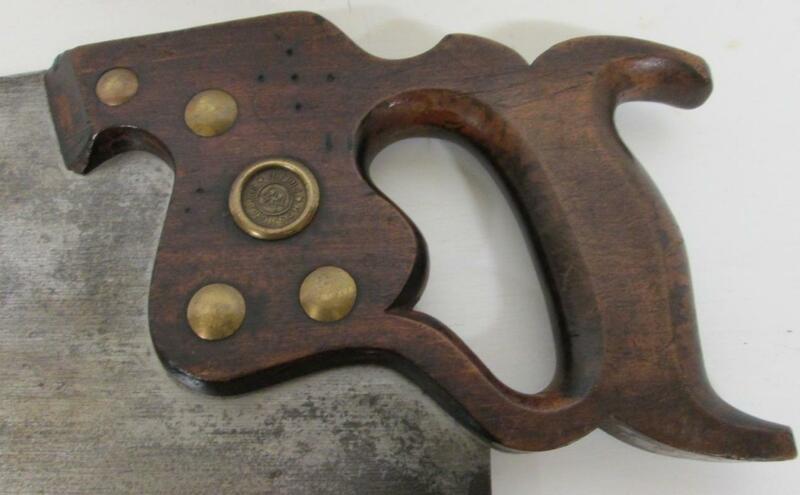 U.S. PAT OFF M. IND RGTRANDA FOR BEAUTY FINISH HAND UTILITY THIS SAW CANNOT BE EXCELLED HENRY DISSTON (signature in writing script) "8" just below the handle on the steel "H. DISSTON & SONS* PHILADA*" on the brass medallion on the handle. Nice clean applewood handle with some wear, solid, not cracked, some edge chips, few minor scratches, and some staining, nice grain pattern. 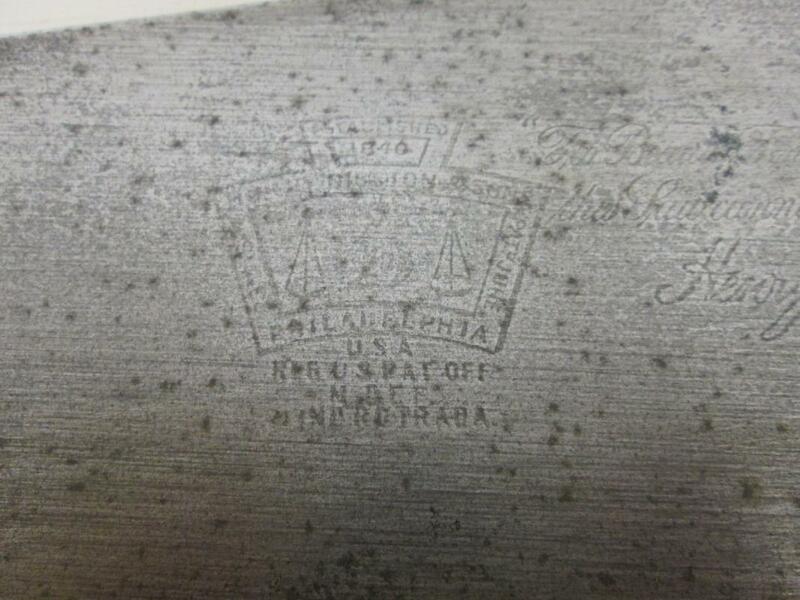 A previous owner has marked each side with a 5 dot mark on each side as an owner identification. The hardware appears to be steel, clean and in good condition. The blade is straight, very good cutting condtion, very sharp, with light staining, not rusty or rust damage, no missing teeth, about 99% sharpness. 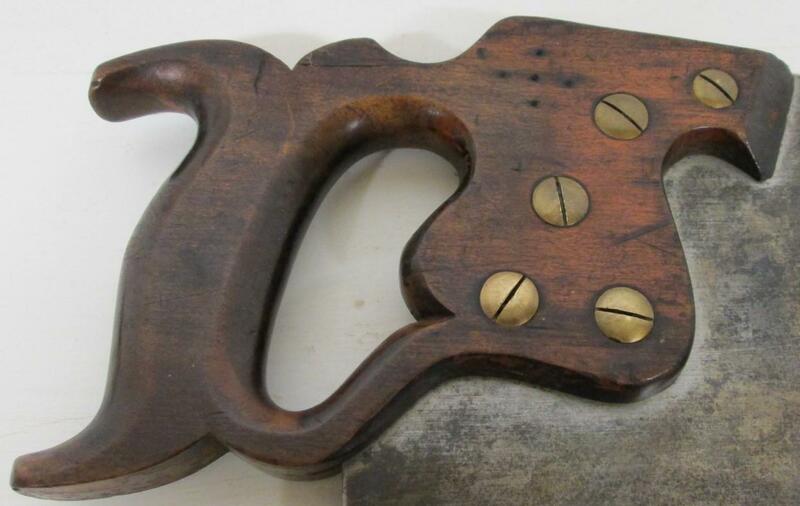 A very good quality saw from the 1880's era.